I’m Ed Smith, a Sacramento Personal Injury Lawyer. Often overlooked in traumatic accidents, the mouth plays a vital role in everyone's quality of life. 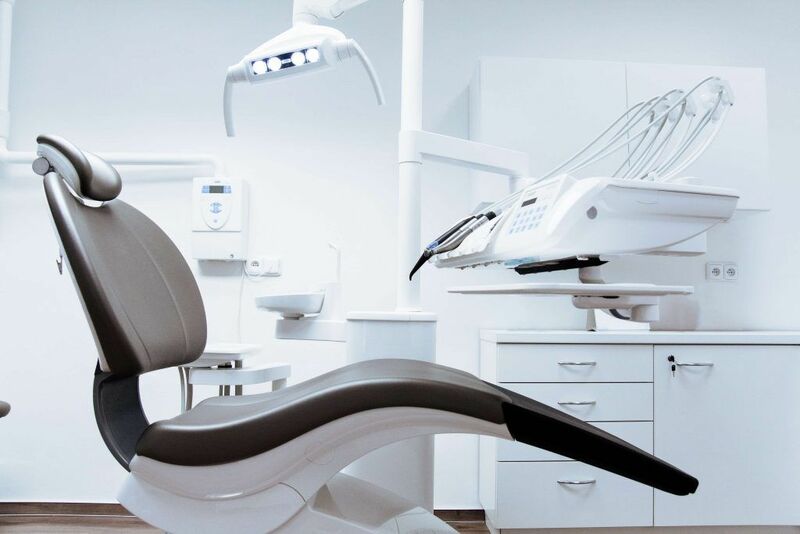 There are many issues that can come up when someone has sustained a dental injury and many of these have the potential to cause significant problems for those who don't have them repaired in a timely manner. Recently, a paper was published detailing the cost of these injuries and just how they occur in everyday life. There are many different types of head trauma that qualify as dental injuries. There are some obvious ones that most people know about, such as chipped teeth or teeth that get knocked out. These are potentially serious injuries that could require someone to get an implant. On the other hand, there are more severe injuries that could become catastrophic that also qualify as dental injuries. For example, someone could sustain a broken jaw or a mandible fracture that could prevent them from eating or talking properly. This type of bone fracture can mean that people have to relegate their diet to a liquid that can be sucked through a straw, representing a serious quality of life concern. It can take months for people to heal from these injuries and, often, their faces look significantly different on the other side. Often, these injuries are also accompanied by a facial fracture that could also require medical attention. In many cases, these serious injuries require a trip to the operating room as well which could prolong someone's hospital stay. Where do Dental Injuries Come From? There are many different places that dental injuries can come from. Recently, a research paper was published that released statistics regarding just how common these injuries are and where they originate from. Interestingly, while only a few percent of bone fractures in adults are due to jaw fractures or dental injuries, the number could be as high as close to 20 percent in children. This is because children fall down more often and sometimes land on their face, leading to injuries to the jaw. While falls are one of the most common reasons why people could wind up with a dental injury, it is far from the only reason. Auto accidents are also the cause of dental injuries. There is no seat belt for the head which means that the head is free to move during a collision. If the head strikes the steering wheel or dashboard, this can easily lead to an injury to the jaw. What many people don't realize is the significant cost that can accompany traumatic injuries, such as dental trauma, that people can incur when they leave the hospital. When someone has developed dental injuries, this can cause their mouth to grow awkwardly or can cause them to require equipment for the long-term. If people have trouble eating as a result of their dental injury, they could be required to eat a special diet, which can be expensive for a family. Often, dental injuries also require special equipment or hardware to gradually move people's dental anatomy back into place. Not only is this equipment expensive but it also means that the injured party will need to travel back and forth for routine doctor appointments, all of which have their own cost and measurement of time associated with them. Lastly, not every dental repair is successful and many people need to return to the operating room for a repeat repair. This creates additional costs and time spent missing work which can leave a family in quite a financial bind. Often, there are significant costs hidden below the surface that many people fail to realize. Dental injuries are not the only type of serious injury that someone can sustain that could place a family under a major amount of stress. The reality is that any injury has the potential to leave families wondering what they are going to do next. When a loved one is placed in the hospital, there are several different reasons why families could be left confused and looking for help. First, having loved ones in the hospital creates an enormous amount of paperwork that most people cannot even fathom. In addition, parents and loved ones could be left to read medical records filled with jargon that they are helpless to interpret. Finally, there is, of course, the enormous financial burden that most families struggle to deal with. An experienced attorney can help recover financial compensation from the negligent individual(s) that caused the injury. Families who are in need of legal assistance should not hesitate to reach out to a compassionate personal injury lawyer for help. I’m Ed Smith, a Sacramento Personal Injury Lawyer. If you have suffered a serious dental injury in an accident with a negligent motorist, call me today for free, friendly advice at 916.921.6400 or (800) 404-5400. The Million Dollar Advocates of the state of California has asked me to appear in their forum. This collection of injury attorneys have all obtained a verdict in excess of $1 Million US Dollars. I encourage my visitors to browse through our record of verdicts and settlements. Past clients have left reviews about our law firm on Avvo, Yelp, and Google.